I have to admit I was SUPER excited about the GB Pockit+ coming out. It actually came out in other parts of the world last year, and took what felt like forever to arrive in Australia. I even kept emailing the Australian distributor for Good Baby (GB) pestering them to tell me when it would get here. So frustrating. I don’t do delayed gratification well. However, now that it’s here, I think I actually prefer the original GB Pockit. On paper the GB Pockit+ upgrades were everything that I wanted. Unlike the original GB Pockit, the GB Pockit+ has a semi-recline function.The Pockit+ also has a much deeper and wider seat, bigger basket and a bigger hood. Though honestly I think the hood on either model is really just there for decoration, the Pockit+ does offer a little bit more coverage. Most importantly though it has the ability to be suitable for newborns, as it is travel system compatible. Understandably with those additions the GB Pockit+ is a little heavier. Though at a tiny 5.6kgs it is still one of the lightest prams on the market. That said, at 4.3kg the original Pockit is still the world record holder for the most compact folded pram. The original GB Pockit and the GB Pockit+ are remarkably similar. I think unless they’re sitting side by side it would be easy to confuse them with each other. Both versions of the GB Pockit have an EXTREMELY compact fold and can be taken on an airplane as carry on luggage. They are the exact same height to the handlebar and have the same wheel size. They also have the same weight limit of 17kgs. (Which is a little bit on the low side and may only fit some children until 2-3 years. That said they are surprisingly tall prams! While my 6 year old is well over the weight limit, she could just fit the height of either pram. Though she fit the width of the GB Pockit+ better, because original GB Pockit was a little narrow for her. But, again, she’s exceeds the weight limit so you wouldn’t be putting a child her size in these prams anyway. Also a lot of the mechanisms are the same on both prams. 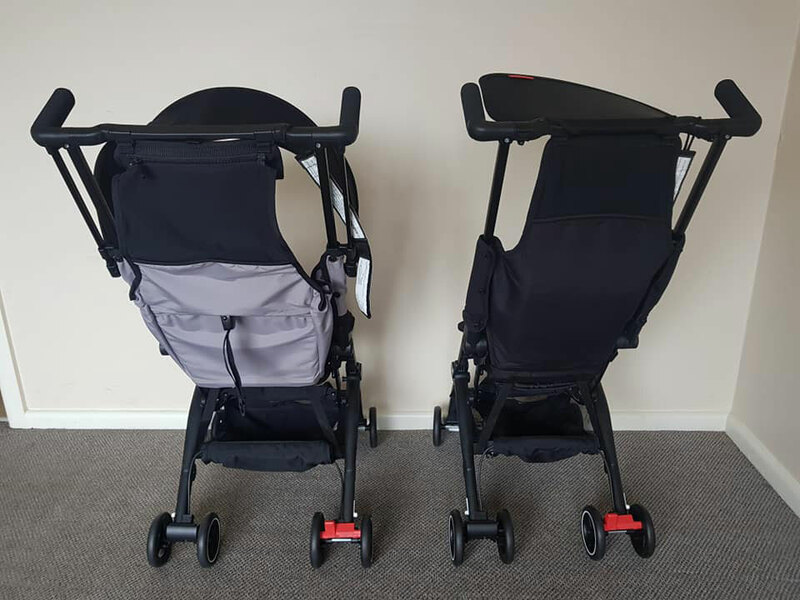 They have identical brakes, the fold procedure is the same and also the overall shape of the prams are the same – just the GB Pockit+ is wider to accommodate that larger seat. Why Do I Prefer the Original GB Pockit? 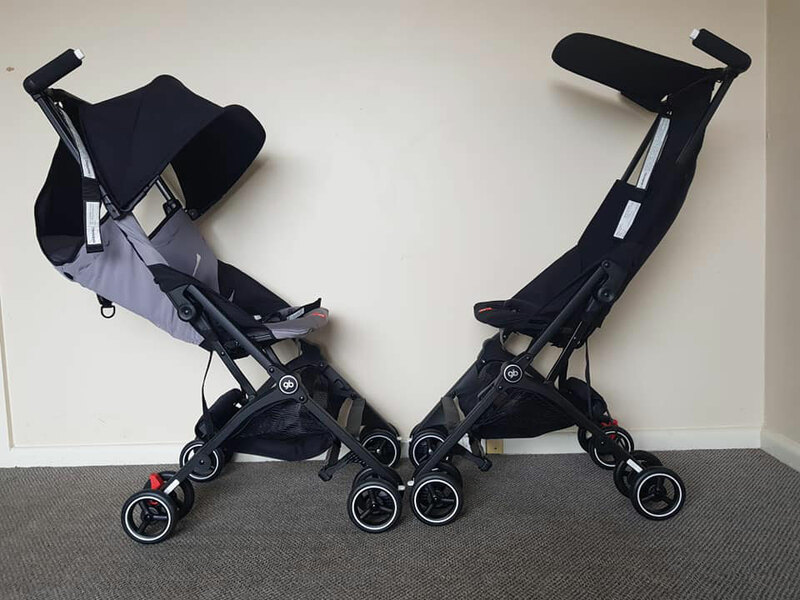 Okay, so while the GB Pockit+ is undoubtedly the superior pram between the two, I’m just not sure if I’d enthusiastically recommend it. I’m not even concerned by it being fractionally heavier and wider. The main reason I’ve fallen out of love with it is the price point. The recommended retail price of the original GB pockit is $299, and the GB Pockit+ is $399. 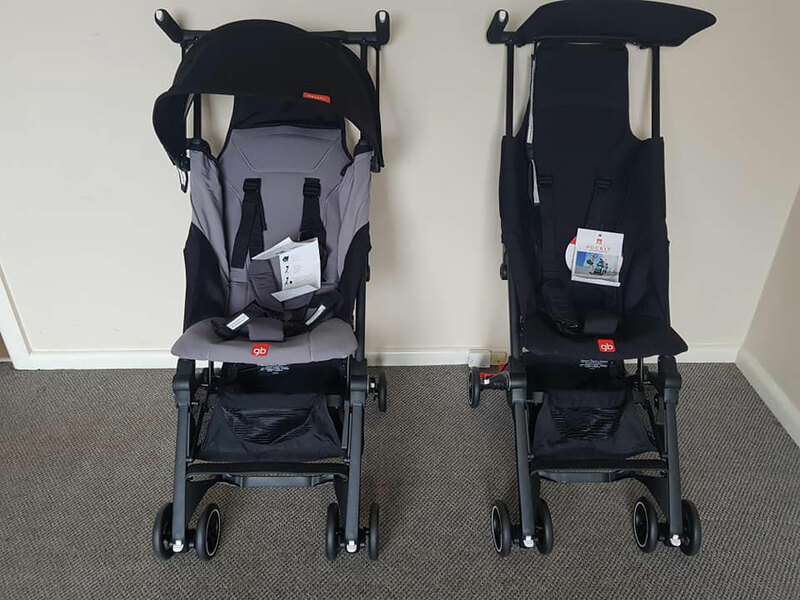 While you can get them both on sale at Baby Train at the moment, there’s still $100 price difference between them. Another thing they both have in common is they are not very substantial prams. Being super lightweight, and folding down to be super compact, comes with some drawbacks. They’re not very smooth to push and really not “outdoor” prams. They’re strictly shopping centre and airport prams. So I don’t see them as every day prams, which means I’m not sure if it’s worth paying that bit extra for the GB Pockit+. 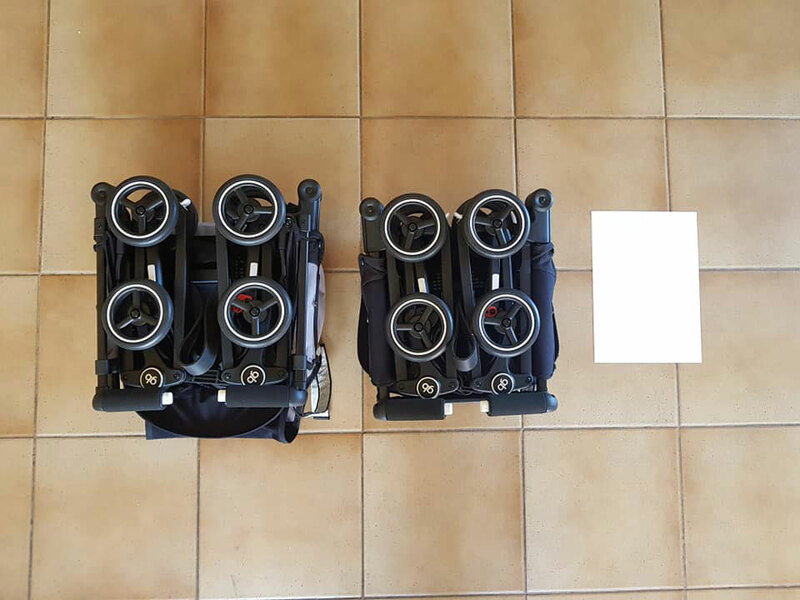 Though if you want something a little bit bigger again, more solid, suitable for newborns, but still might fit in the overhead locker on a plane, then I’d recommend looking at the GB Qbit+, which I listed on the Best Travel Prams 2016. I feel like the GB Pockit+ is halfway between the GB Pockit and the GB Qbit+. But it just feels more like it’s compromising rather than getting the best of both. Though that could just be my opinion. Please let me know what you think! I borrowed both prams from the lovely team at Baby Train. I was not paid in any way for this review. I was curious about the wheel material between the 2. Do you feel the plus has cheaper made wheels and is more wobbly than the first? And as it has been a few months. Just curious if they have the same durability. For me in the US, the price difference on Amazon is 50 USD. Still debating between the 2. Thanks!